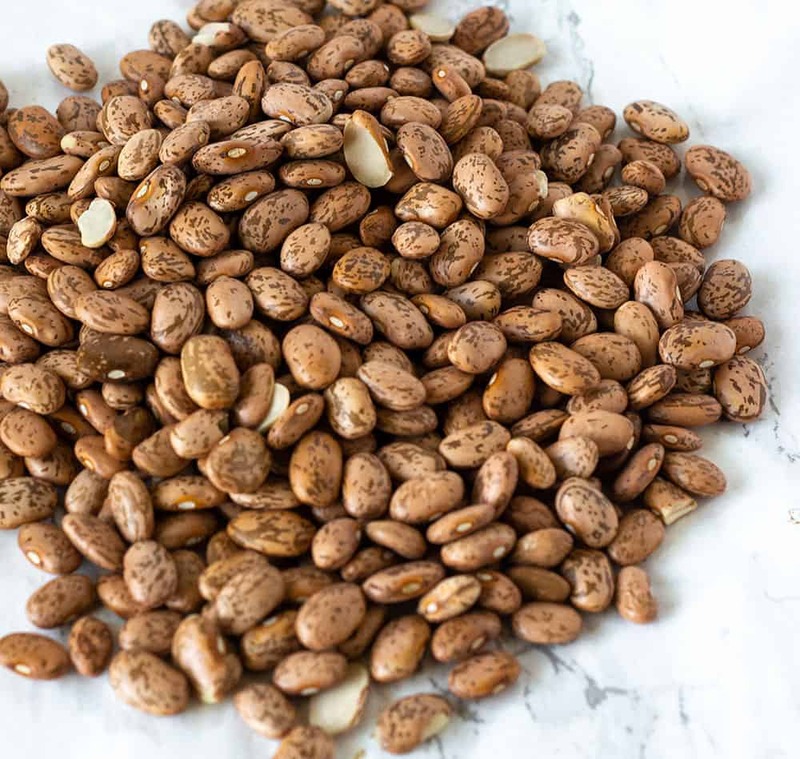 This Instant Pot Pinto Beans recipe is so tasty with simple ingredients, a Southern pinto bean recipe made vegan, made in the Instant pot without soaking beans. 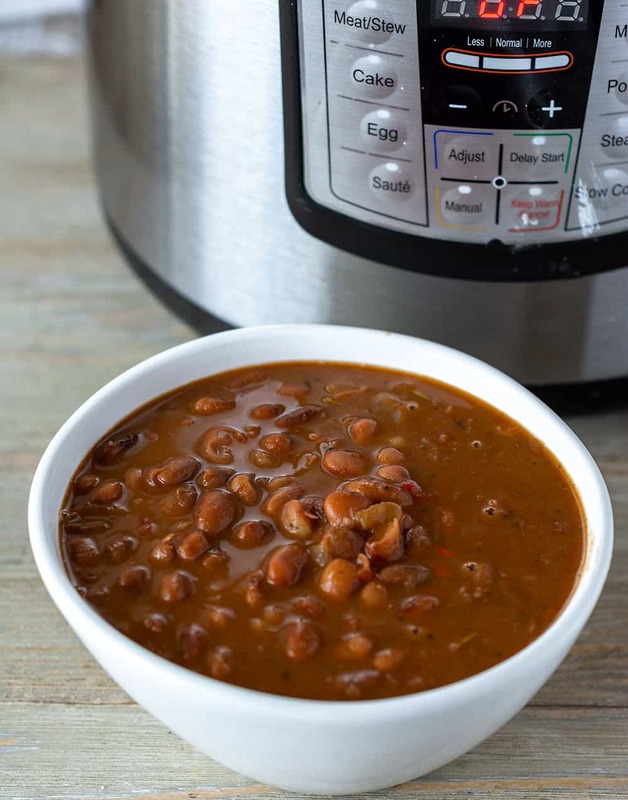 Make a large pot of pinto beans in the Instant Pot, you basically put all the ingredients in the Instant Pot and walk away. 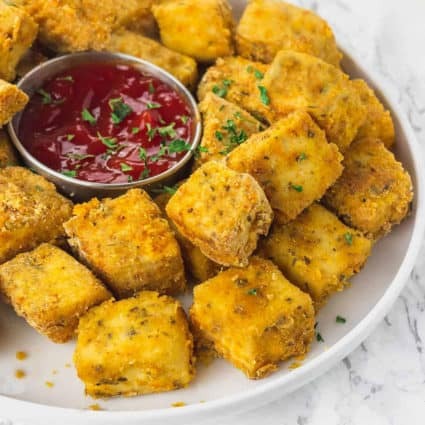 It is perfect for those busy days, serve it with Skillet Cornbread, Turmeric Coconut Rice or Jollof Rice, it is flavorful, economical and easy to prepare. Pinto beans are so underrated but they are high in protein, fiber, vitamins, and minerals. Check out the many health benefits here. To make Instant Pot Pinto Beans, I used a one pound bag of pinto beans, I first sort and washed the pinto beans to get rid of all the ugly broken pieces of beans, dirt, debris. In this case, I prefer to use dried pinto beans because they are so cheap, literally less than 2 dollars for a bag of beans that can feed 10 people, that's a win-win situation. Set Instant Pot on saute mode, heat oil and add onion, garlic, bell pepper, thyme, cook until onion is soft. Add paprika, Italian seasoning, vegetable bouillon, pinto beans, liquid smoke, cayenne pepper, water. Turn the Instant Put off, put the lid on Instant Pot, set the vent to sealing, cook on manual high pressure for 50 minutes. Cooked pinto beans are better served the next day, you can also portion the cooked pinto beans into freezer containers and freezer for later. Note: Substitute the water with vegetable broth omit the vegetable bouillon and add salt to taste. Turn Instant Pot on saute mode, heat oil and add onion, garlic, bell pepper, thyme cook until onion is soft. Add pinto beans, Italian seasoning, paprika, cayenne pepper, vegetable bouillon, water, liquid smoke, and press off button. Place the lid on the Instant Pot, turn the knob to sealing. Cook beans on manual high pressure for 50 minutes. Allow to natural release for about 20 minutes, add salt to taste and serve. I have been looking for a good vegan recipe for pinto beans for a long time and just couldn’t find one that had good flavor. I used vegetable broth instead of water for this recipe which added additional flavor :) and added 1/2 green pepper. I also found I needed to cook the beans for an additional 15 minutes as the beans weren’t quite done as much as I liked. There were absolutely delicious!!! Thank you! Becky, I’m so happy you enjoyed this recipe and I’m so thankful you have left feedback. Thank you! OMG! The best beans ever! I doubled the recipe Usually beans in a pressure cooker comes out to watery , but these were just perfect! Awesome, I’m happy they turned out great Jd and you enjoyed it. I appreciate your feedback. Me too, I like my soup thicker than the watery kind most recipes result in. I’ve got them in the IP right now. I hope you enjoy Patty. Can I add a ham hock in this? Waiting for them to cook! Looking forward to it. I didn’t use liquid smoke but did use smoked paprika. Also added some bacon grease (not a vegetarian or vegan). Looking forward to it! Hello Rey, I hope you enjoyed it. Thank you very much for your feedback. 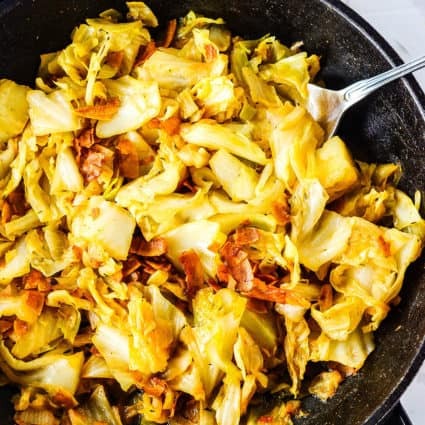 What is the equivalent of the vegetable bouillon in the recipe? I have bouillon in a jar not cubed. Jennifer the equivalent amount is usually written on the container. It is usually 1 teaspoon of the bouillon paste or 1 bouillon cube. I lucked inro this site….never made pinto beans, but someone gave me 3 2 lb. Bags. I also have a Instant Pot I’ve used once. I’m in….wish me luck. I made these this morning in my Instantpot for my husband. I usually don’t care for beans but couldn’t stop sampling them. Delicious and just the right amount of heat. I didn’t have a red pepper so I subbed with some chopped green pepper from the freezer. This will be a new favorite. Can’t wait to go camping to share this at potlucks. Erin I’m so sorry to hear about your mom’s passing. I feel honored that my recipes help to bring back fond memories of your mom and her cooking. What if i don’t have an instant pot how long would I need to cook the pinto beans in my crockpot ? Margie 5-6 hours should be fine in a slow cooker. I didn’t test it in a slow cooker myself. Hope you enjoy! I rarely post comments, but have to for this recipe! I am new to your blog and found you by searching for instant pot pinto beans. I loved that your recipe used smoked paprika and instant smoke instead of bacon! I am an aspiring vegan, living with a bunch of carnivores. My kids usually turn their nose up at anything that doesn’t have some kind of meat in it. My family aren’t fans of beans as a main dish, but I had everything on hand, and made a batch of cornbread, knowing that was a hit with everyone, and figured they’d eat mostly that. I happened to not be feeling well around dinner time last night, and didn’t eat with my family. Later in the evening I was feeling better, and asked about the beans. They got rave reviews from everyone!!! This is basically unheard of in my house. I assumed they were being nice because I was under the weather, and later took a bite myself to see. Wow. Just.. WOW!!!!! These re FULL of flavor; the best pinto beans I have ever had. And, no meat! Thank you so much for the recipe… I can’t wait to try more on your blog!!! Wow Shaynee, I hope you are feeling better, thank you, you have made my day. I’m so excited that you and your family enjoyed my recipe. I wasn’t feeling like testing a particular recipe for the third time so I left the mixing bowl on the counter, put back the ingredients in the refrigerator and decided to just go back to working from my computer when I saw your comment. Now I’m going to go back to the kitchen to finish what I started. Thank you for motivating me and I pray you continue to try my recipes. I’ve been searching for a vegetarian pinto bean recipe and this will be my go to recipe from now on. (I’m making a second pot right now!) I didn’t have any liquid smoke so I used worchestershire sauce and it added some nice flavor. That’s awesome Barbara, I’m so happy you love it. Thank you very much for your feedback. These are the Best beans I have ever eaten or cooked!!! Thank you for this FABULOUS recipe!